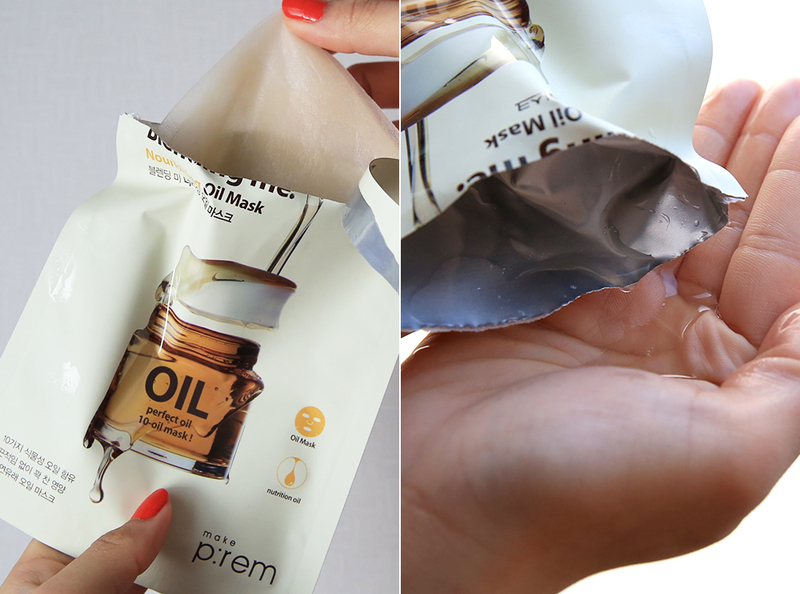 I'm drawn to oil products as of late and these Nourishing Oil Mask from make p:rem is one of my top favorites! The sheet is lightweight and it sticks to your face the entire duration (it doesn't dry out and fall off)- I even prep breakfast wearing it! Okay, so although it says "oil", it's not the greasy sort and the amount of extra juice that I managed to pour out from the package was enough for me to apply it on my neck and legs! 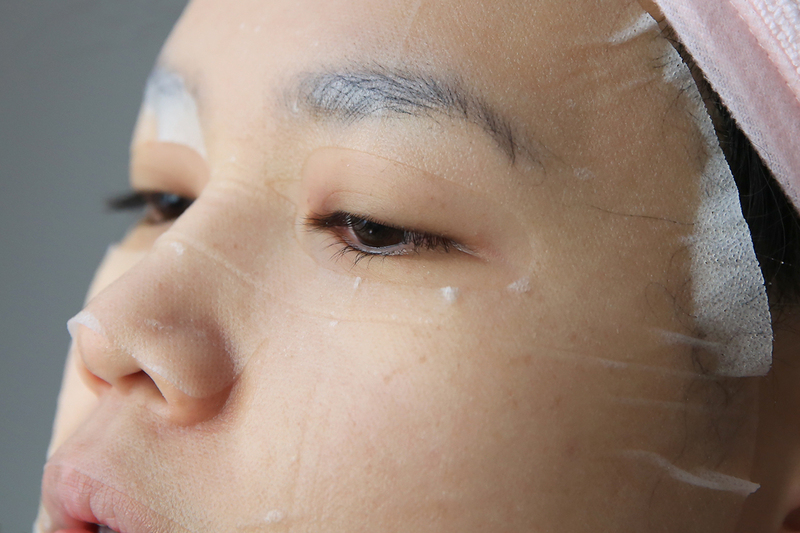 It says that you'll only need to put on for 10 minutes (but I'm kiasu and usually like to double up the required time) and it was moisturizing enough that I didn't need to apply any other moisturizer throughout the entire day! The price is 3,000won for 2 sheets, what a steal! It works well on my dry skin and I hope it does for yours as well. 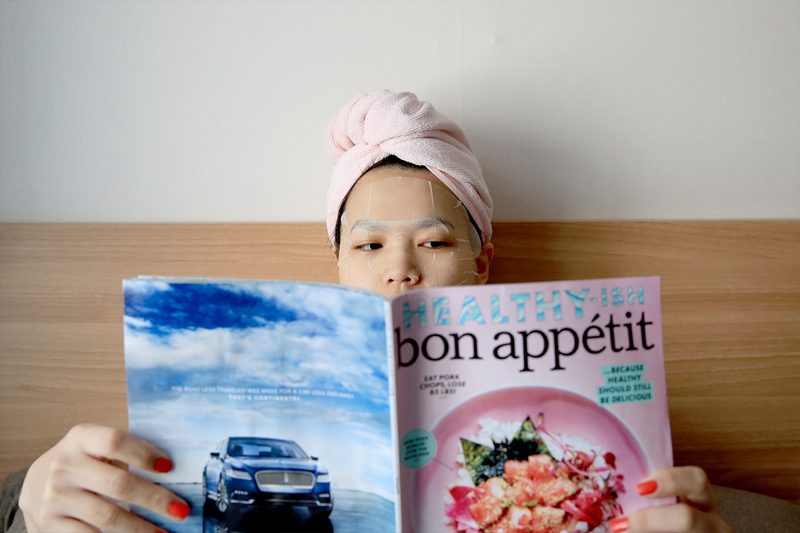 I've been accumulating various kinds of Korean mask and I figured that a new segment on mask might be helpful as you'll be able to see what it's like on the inside and how it looks on the face. Yes? p/s: Microfiber hair towels are amazing!! You should purchase one especially if you have long hair as it absorbs wetness like a sponge!